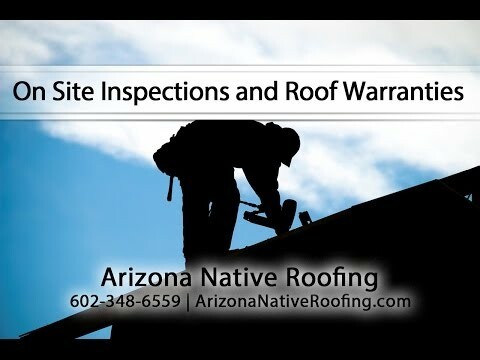 Professional Tempe Arizona roofing services by the roof contractors at Arizona Native Roofing. 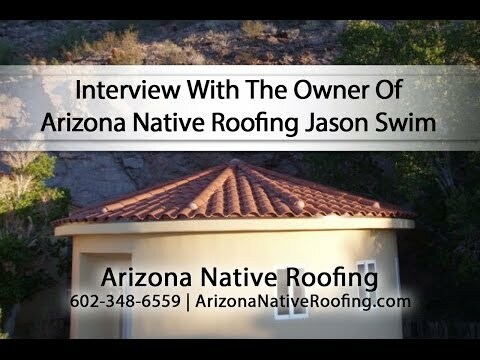 Arizona Native Roofing can help you take care of one of the most important parts of your home: Your roof. Our full line of roofing services includes Tempe roof repair, maintenance and re-roofing. Each roofing contractor on our team is qualified to help you with any of these roofing needs. When you discover the need for a roof repair, it is not usually a minor problem. You usually discover the need when water is pouring through your ceiling. Our team can be there as quickly as possible to get your roof patched and ensure that your home is protected. We offer ongoing maintenance plans to help keep your roof strong and healthy and to minimize the chance that you’ll need to make that emergency call in the first place. Of course, we’re also there to help if you need a new roof installed. We are proficient at installing all kinds of roofs, including popular tile and shingle roofs, as well as the more long-lasting foam roofs. Call a roofing contractor that you can trust to do high-quality work while also providing the best customer service. 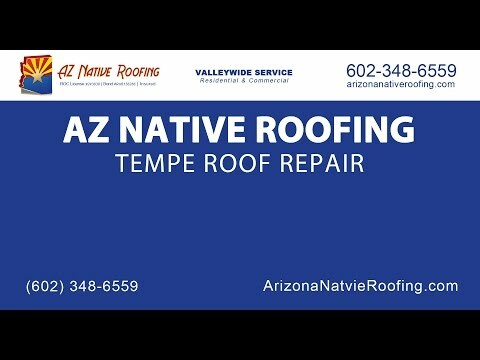 Call Arizona Native Roofing for all your roofing needs in Tempe, including emergency roof repair, maintenance, and new roof installation. Tempe is located right in the middle of the hotbed that includes Phoenix and Mesa. Many people settle down in Tempe because they like a city atmosphere but feel a bit too suffocated in the sprawling Phoenix metropolis. Tempe also offers more reasonable real estate prices, so many move to Tempe to be close to the action without breaking the bank. It is also the home to many big corporations and Arizona State University, so many people come here for career or educational opportunities. If you already live in Tempe, you know what a wonderful place it is. As a homeowner, you also have an opportunity to grow your investment over time. Real estate in Tempe is poised to only get hotter. Beautiful Tempe AZ, with a variety of roofs, a blend of both commercial and residential roof needs.